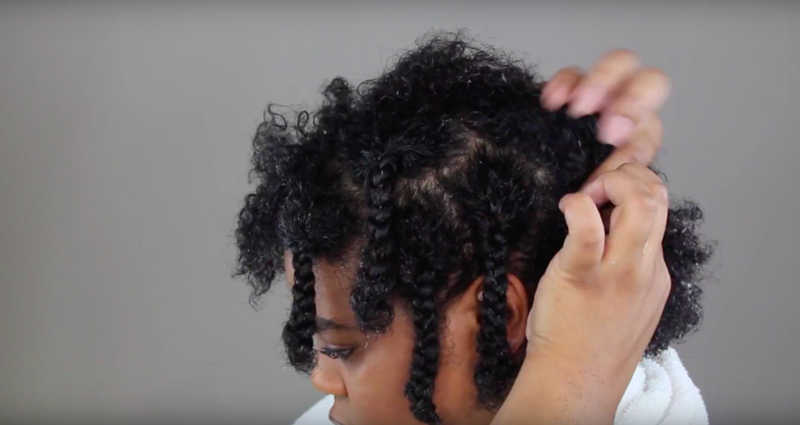 Running Late "Bye Felicia" Braid Out — . Next I blow-dry on cool (even though I hate blow-drying of any kind) and move on to my makeup and all that fun stuff. Usually by the time I have to remove my braids they are still a tad wet. No big deal. I’m extra careful and it works just fine. I even pick my hair a bit at this stage. While it’s still a little wet? Are you crazy? Nope, not crazy. I get enough hold from the Mixed Chicks leave-in that I still have enough shape and definition to get a nice looking ‘fro.